Today I was able to do one of my favorite things as a private healthcare advocate. That is, providing knowledge and clarity regarding medical conditions and nursing care. I was contacted by a client who needed to understand his mother’s illness as well as what was done for her while in a long-term care facility. There were things that were troubling him about his mother’s passing. I will refer to my client as Jack and his mother as Jane for the purpose of this story. I sat down with Jack and reviewed his mother Jane’s medical record from the facility. Through this process, I was able to more thoroughly answer questions related to his mother’s illness. Jack lived out of town while Jane was living in the care facility and he was confused about her exact medical condition and the treatments she received. Throughout our meeting, it was evident that there was an underlying concern that maybe the care she received was not up to standard. Jane had died of sudden cardiopulmonary arrest while eating. She had a long history of heart disease. Our research revealed that the nursing care at her facility was excellent. Knowing this resolved any of Jack’s concerns that poor care contributed to his mom’s passing. We met a couple of times (per Jack’s request) to make sure that he was comfortable with the new knowledge he had regarding Jane’s care and medical condition. He got definite peace of mind not only by understanding her illness and the poor condition of her heart, but by knowing that she did indeed receive excellent care. As an RN Healthcare Advocate, I love providing this service. Many of my clients don’t fully understand a medical diagnosis, surgeries/procedures or a care plan. When a loved one is being cared for out of town, it is especially unsettling. Knowledge and understanding can provide peace of mind and also give you the tools to make educated, empowered decisions related to your health care or a loved one. Posted on June 17, 2013	by Donna M. Post, RN CLNC/Mid-Valley Legal Nurse Consulting, Inc. This weekend, I met with one of my clients. He had a successful bypass surgery three years ago. Now, a few years post-surgery, he has gotten his activity level up to walking on a treadmill three miles per day. He is intent on having better quality of life after the challenges of recovery. However, it seems as though his progress is being discouraged by one (or more) healthcare provider(s). At a recent doctor’s appointment for a stress test, my client asked his nurse, “When can I get stronger? I want to build some more muscle.” The response: “We do not want you to put on any muscle. We are afraid you will do more than we want you to.” End of conversation. What?? My client was disturbed by this– which is understandable! His healthcare provider(s) gave no explanation about his limitation of activity based on test results, nor did they give him an individualized plan based on his needs. Instead of catering to what my client really wants out of life after surgery, it was simply determined for him. I would like to have the strength to open a jar again. I want to be able to walk and feel like I am not going to fall (i.e. balance). Does this sound unreasonable? These are life’s basics. It’s not like he wants to run marathons or climb Mount Everest. He wants to feel secure with everyday living activities. There is obviously a communication gap here between my client and his healthcare provider(s). It’s a shame they didn’t ask him WHY he wanted to gain strength in the first place. 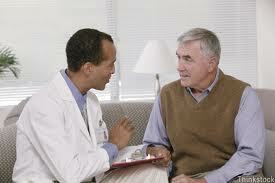 It is very important for you to discuss with your healthcare provider what you anticipate out of life post-surgery. It is critical to determine and work on these goals while in rehab care. This is where you are building up to be functional. It is crucial that your healthare provider know exactly how you are progressing. You should be informed of your limitations at every stage of your progress. If there are specific restrictions on physical activities, your healthcare provider should give you a proper explanation. If something is not in your best health interests, you deserve a detailed explanation. You do not have to accept nebulous explanations such as, “We don’t want you to because we are afraid you will do more than we want.” That is not an adult explanation– therefore, unacceptable. It is not educating you on the reasons that certain future activities may not be good for your health. You probably shouldn’t be shoveling snow, right? But that’s another one for the doctor. In my client’s case, he just wanted to do everyday activities. The healthcare provider should have engaged him about what activities he wanted to do. I encouraged my client to go back to his doctor and communicate clearly: he wants to feel more balanced on his feet, and have more strength for everyday activities like opening a jar. A simple solution will likely be derived– such as going to therapy to gain strength and balance. Talk with your doctor/nurse about what your healthcare goals are. Do not accept vague instructions, “WE do not want you do…” without understanding the real reasons. If you are not comfortable being direct and/or assertive with doctors or nurses, have your patient advocate or a family member present when speaking with your healthcare provider. Healthcare advocates can be extremely helpful for explaining your goals, as well as helping to interpret restrictions and physical limitations doctors may suggest. 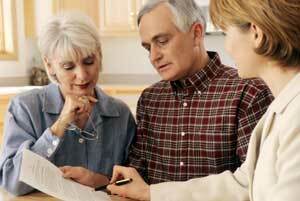 They will also help you develop a care plan. Learn more about having a healthcare advocate meet with you and your physician . DO YOU USE NEEDLES OR MEDICAL-RELATED SHARPS AT HOME? Posted on May 31, 2013	by Donna M. Post, RN CLNC/Mid-Valley Legal Nurse Consulting, Inc.
Discarded needles may expose sanitation workers to potential needle stick injuries and infection when containers break open inside garbage trucks. In public places, janitors risk injury if loose sharps poke through plastic garbage bags. At home, whoever takes out the trash may get stuck with the needle. While at my client’s home, I realized that over the past three years- I have run into this issue at least once a month. That being said, it was time for me to get on my soapbox again about proper disposal of sharps in the home setting. The Environmental Protection Agency and the Coalition for Safe Community Needle Disposal advise about solutions for the best way to dispose of sharps, including the lancets for testing blood sugar. It is always best to put them into an orange biozhard container. These can be purchased at any pharmacy. They come in various sizes. Supervised Drop-off/Collection site: Some pharmacies, physician offices, fire stations, etc., will accept them for disposal. You will need to call around in your area to identify specific locations. Some will charge a small drop-off fee. Local Community Home Biohazard Day Drop-off. These are free drop-off days. Check with your local county offices to find out when your drop-off days will be. Some communities will send you a flyer indicating the local drop-off days if you register with them. Mail-back programs: sharps are placed in special biozhard containers that can be mailed back. There is a cost for this service to pay for postal fees. 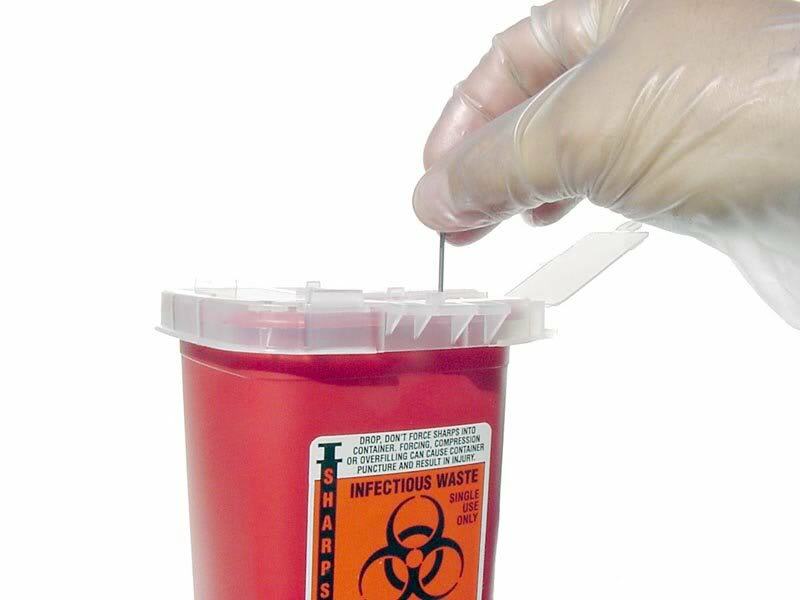 Remember – disposing of sharps in public or family-used trash cans expose other people and animals to risk. Not only can they cause injury, they carry germs and life threatening diseases such as HIV and Hepatitis. – Let’s start today with safe sharps disposal in the home setting! Do you want to hire privately or through an agency? Hiring through an agency gives you additional support (i.e. by providing a substitute when your main caregiver is out sick or on vacation.) Hiring privately may be a little cheaper. If you do hire privately, make sure that you do a background check on your future caregiver. I have had several clients who had issues and regrets because they didn’t check out the caregiver ahead of time. This is also essential if you don’t live locally because you cannot drop in from time to time to observe mom or dad’s caregiver. What is the education of your caregiver? Is he/she a certified nurse’s aide (CNA), Home Health Aide or licensed vocational nurse (LVN)? This may seem incidental, but it really is important criteria to evaluate. Remember- this person will be spending several hours per week with your parent (maybe more than you!) Are they trained by the in-home care agency? IF trained by the Agency, what does the training consist of? This is perfectly within your rights to ask. If you hire your in-home caregiver through an Agency, is there an RN or LVN who oversees the development of your parent’s care plan? The roles of the RN and LVN in the development of care plans for your family member may vary from state to state. In California, it is within the Scope of Practice for an LVN to develop care plans for situations that involve ‘Activities of Daily Living’. This would most likely be the same case for in-home assistance. However, RN & LVNs can give medications. However, non licensed in home care givers can only provide medication assist and remind patients to take their medications. Some care facilities, such as some Assisted Living facilities have Medication Assistants with LVN or RN oversight. Medication Assistants are limited within their scope. Ask the facility what the training is for the Medication Assistants. Ask the agency what is permissible for their caregivers and who will be handling the skilled nursing responsibilities. You can see it can get confusing but it is important to know who the caregivers are and what their scope of practice is for you to be comfortable. Do you need the caregiver to run errands? Do you need them to take your parent to their appointments? Do you need the caregiver to do food shopping and meal preparation? Bathing/getting in & out of bed? Will they be handling money? Are there pets in the home that will need care too? Cost will very from state to state. How will this be paid for? A Patient Advocate can help you determine how much your loved one’s care will cost, what’s affordable and how much your long-term care insurance will cover. In-home caregivers are usually private pay or through long-term care insurance. There are special circumstances in which Medi-Cal/Medicaid will assist. However, generally this is paid for privately. In many cases, Medicare does not cover in-home assistance. These steps should help you begin deciding what is the best path for your loved one and whether an in-home caregiver will be beneficial. If you would like more detailed information, please contact a Patient Advocate at MVLNC. If you’ve ever gotten the wrong prescription, you know that it can be costly and a nuisance at the very least. But did you know that medication errors can cause harm and even be fatal? Medication errors that cause harm are called “adverse drug events.” This can be due to reactions from medications that are not supposed to be taken together, incorrect dosage instructions or allergic reactions. Overdoses and adverse reactions to prescriptions are the worst case scenario. There are a sea of other scenarios that involve non-life-threatening problems or are simply time-consuming to correct. 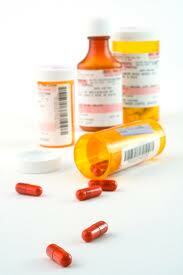 Most prescription medication mistakes boil down to human error. Doctors may prescribe the wrong medication or sometimes the pharmacist mixes up the names of two medications and dispenses the wrong prescription. A doctor’s handwriting may be illegible and the pharmacist reads it incorrectly. There are also erroneous prescribing faults on the part of a doctor which can result in harm to a patient. According to the Mayo Clinic, mistakes in prescribing, dispensing and administering medications injure more than 1 million people a year in the United States. These incidents are preventable—and fortunately, you can take a proactive approach to make sure your prescriptions are written and filled correctly. Here is a scenario I ran into: I went to my primary care physician for a rash around my mouth—which was later diagnosed as Perioral Dermatitis. My PCP prescribed Metronidazole cream but cautioned that he wasn’t familiar with this condition and I would probably need to see a specialist. I realized after a few days that the “Metro” cream was not treating my rash. So, I was referred to a dermatologist. The dermatologist made a note of the ineffective treatment cream and proceeded to diagnose the rash and prescribe me Hydrocortisone ointment, 2.5%. This topical ointment cleared up the rash almost overnight. On my follow-up visit to the dermatologist, he advised that I could continue the ointment and he would email 2 refills to my pharmacy. I picked up the prescription from the pharmacy without checking the bag and assumed it was the Hydrocortisone cream. However, when I opened the bag to use the ointment later, I realized it was Metronidazole cream—the original ineffective cream! The pharmacist explained that he simply filled the order the doctor emailed to him. I realized that the doctor sent this cream in error, so I called his office to inquire about it. I spoke to a medical assistant who told me that according to his chart, Metronidazole cream was the correct prescription. At this point, I sought the advice of Donna—MVLNC private healthcare advocate. She advised that I should go back to the dermatologist’s office and speak to the doctor himself. Donna also explained the importance of getting a physical copy of the prescription with the name and strength of the medicine as well as dosage instructions for my personal records. If I wasn’t able to see the doctor, Donna advised that I should speak to an RN about the mix-up as opposed to a medical assistant, who may not be able to assess medications and their differences. This was extremely helpful advice—as it was the only way to get to the bottom of the prescription error and correct it. Be sure you get a thorough consultation from your doctor about what is being prescribed, what the dosage is, how often you will take it and what you can expect from taking the drug. If the doctor’s office plans to phone in your prescription to the pharmacy, ask for a written copy, too. Take the time to review it to ensure it covers the same prescription your doctor has described. Once you get to the pharmacy, a written copy will help you confirm you are getting the right medication. Usually your prescription will be handed to you, bagged and ready to go. Before you leave the pharmacy—open the bag, and check to be sure your name is on the prescription. Read the label and make sure it says what you expect based on the information your doctor gave you. Check to be sure you have the right drug, in the right dose, in the right amount. If there are any discrepancies, ask to speak with the pharmacist. Donna advises: make sure it is indeed the pharmacist you are talking to! Pharmacists can question prescriptions and doctor’s orders. A pharmacy tech usually just fills the orders and may not be able to solve a problem or answer medical questions. Medication errors are serious business—doctors and pharmacists need to be made aware of a mistake no matter how inconsequential it may seem. But more importantly, it is up to you (the patient) to monitor your medication usage. Not only should you question possible drug interactions at the doctor’s office and pharmacy, always keep hard copies of your prescriptions on file for your own records. If you have any questions about drug interactions, prescription errors or problems filling prescriptions, contact MVLNC to get private healthcare advocacy advice. Unfortunately on a daily and weekly basis, I have been working with these types of scenarios. The purpose of moving to computer entry of orders was to help minimize these mistakes. However, humans make mistakes and computers have glitches. Check back with us for more tips on preventing medications errors at home. Over my 25 years as a Registered Nurse , I have seen cases where women present signs of a heart attack, yet treatment is delayed. This is often because the warning signs are more subtle in women. Women also tend to ignore their own health in order to take care of their families. Another issue is that healthcare professionals will miss the signs as they often mimic other healthcare issues. Don’t allow your healthcare professional to ‘brush off’ heart attack warning signs. Trust your intuition! You know your body better than anyone… If you can tell something is wrong, insist that your doctor, physician assistant, or nurse practitioner run more tests. It’s better to be safe than sorry. February is American Heart Month. As we near the end of February, I cannot help but place some focus on Women and Heart Disease. The American Heart Association launched the “Go Red for Women” campaign to raise awareness about the dangers of heart disease among women. So far, it is estimated to have saved more than 627,000 lives! Unfortunately, heart disease is still the leading cause of death in both men and women. Every year, about 715,000 Americans have a heart attack. The good news is—heart disease is preventable and controllable. Regardless of your age or health conditions, be proactive and seek immediate treatment if you begin to experience symptoms that you are unaccustomed to. Below are warning signs women should pay attention to, as they could be signaling the onset of a heart attack. Pain. Classic heart attack symptoms include chest pain, pressure, burning, and discomfort centered under the breastbone. Other aches and pains to pay attention to include the back, shoulders, arms, stomach and jaw. **Note: They may come and go and are often not as pronounced in women. Shortness of breath. Many women feel as if they are panting and trying to take deep breaths. This can occur days or weeks before a heart attack. Nausea or dizziness. It’s fairly common to vomit during a heart attack. Nausea or heartburn accompanied by light-headedness, dizziness, or fainting are signs of abnormal heart rhythms. Unusual fatigue. Many women feel extremely tired days or weeks before, or during an attack. This typically means feeling so weak that you cannot do any normal activity. Rapid or irregular pulse. A rapid or irregular pulse accompanied by any other warning signs can be a strong indicator of a heart attack, arrhythmia, or heart failure. Heavy sweating. If you are pale and covered in sweat for no reason, this may be an indicator of a heart attack. Feeling sweaty with cold clammy skin is also a common symptom. Swelling. Swelling, usually in the abdomen or lower extremities, is the result of fluids accumulating in the body during heart failure. I recently had a patient where her only warning sign was nausea over several days. It was almost passed up for the flu. She did not experience chest pain. Fortunately for this woman, she took her blood pressure daily. On day three of nausea, her blood pressure was much lower than it usually had been. She went to the Urgent Care near her home – still not thinking she had anything more than the flu. An EKG was done and she was sent directly to the hospital via ambulance. It is important to know that patients who are diabetic may not experience chest pain; and if they do, it may not be to the same intensity. It is important to be aware of these other symptoms and address them immediately. Is the term “Accountable Care Organization” popping up in your conversations about health care and insurance? Accountable Care Organizations (ACOs) are on the horizon, so it’s important to know what they are. Accountable Care Organizations are groups of doctors, hospitals, and other health care providers, who are coming together voluntarily to give coordinated care to their Medicare patients. An ACO agrees to manage all of the health care needs of a minimum of 5,000 Medicare beneficiaries for at least three years. The goal of ACOs is to avoid unnecessary duplication of services while delivering quality care. 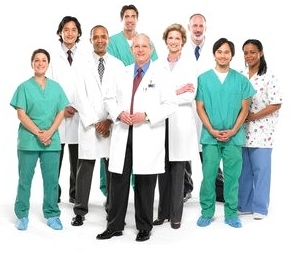 Health care providers can assemble their own ACOs. This concept is part of the new health law—born from the Medicare Shared Savings Program. This Program encourages cooperation among providers to improve the quality of care for Medicare Fee-For-Service beneficiaries. It aims to reduce unnecessary costs associated with the traditional system (i.e. doctors and hospitals are typically paid more when they order more tests and do more procedures). ACOs will create savings incentives by offering bonuses when providers keep costs down. However, there is more to the equation: the focus must be on prevention and carefully managing patients with chronic diseases. What are the Proposed Benefits of ACOs? ACOs will need to prove that the overall health care product they’re delivering works well and costs less to encourage patients to participate. When an ACO succeeds in both delivering high-quality care and spending health care dollars more wisely, the Shared Savings Program will reward them monetarily. Can Patients Still Choose their Own Providers? Yes. Patients are still free to see doctors of their choice outside the network without paying more. Primary care doctors are required to tell their patients if they are part of an ACO. Most likely, physicians will refer patients to hospitals and specialists within their ACO network. According to health care industry experts, ACOs sounds a lot like HMOs—which limit patient options and created a consumer backlash in the 1990s. Economists fear that the race to form ACOs could have a negative impact by encouraging hospital mergers and provider consolidation. As hospitals become integrated, many are joining forces and purchasing physician practices. This leaves few independent doctors. In a nutshell, the greater market share can drive up health costs. Legal concerns have been raised that ACOs could violate antitrust and anti-fraud laws, while driving up health care prices. Stay tuned to our blog for the latest developments on Accountable Care Organizations. We will keep you updates as health care and legal experts weigh in on this new health care delivery model.